Do you ever wonder why your photos turn out blurry when you have a really good camera? Do you struggle to get your milky way images sharp or your waterfalls to look silky? If you want high-quality images, you need a tripod! Period. When you have a sturdy tripod, your photo quality will dramatically improve. If you travel or hike like we do, you need a compact tripod that’s sturdy, but also lightweight. This guide will help you find the best portable and lightweight tripod to suit your travel and photography style and budget. 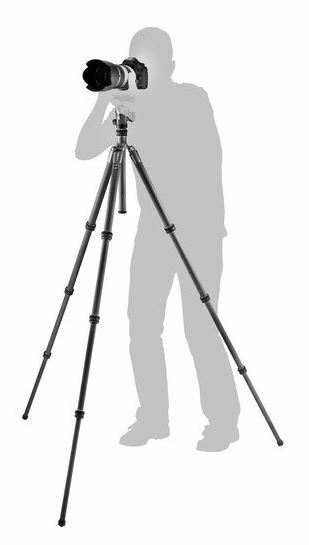 WHAT IS A TRAVEL TRIPOD? Travel tripods are designed to be compact and lightweight. Many travel tripods fold up into a compact package that you can fit into a carry-on bag. They are also designed to be lighter than the full-sized tripods. Tripods designed for portability usually have four or more leg sections that can fold up around the center column, or a center column that drops down between the legs for transport. Most lightweight travel tripods don’t extend to the same heights as full-sized tripods so you will need to bend over a bit while shooting. Other than the features of being compact and lightweight, the travel tripod is basically the same as any other tripod. Carbon fiber is lighter than aluminum. Does a few ounces of weight difference really matter? If you’re someone who is traveling a lot or carrying around a gearpack, every ounce counts. Aluminum is less expensive, and a bit more durable, than carbon fiber. You would think due to carbon fiber being lighter, that’s what makes it more expensive. Actually the higher cost is due to production costs. Most of our photography is outdoor landscape and wildlife that requires a STURDY tripod that’s also portable and lightweight. A tripod is an essential part of our travel photography gear. We rely on using a travel tripod to create the best images of the landscape and wildlife we see on our outdoor adventures. 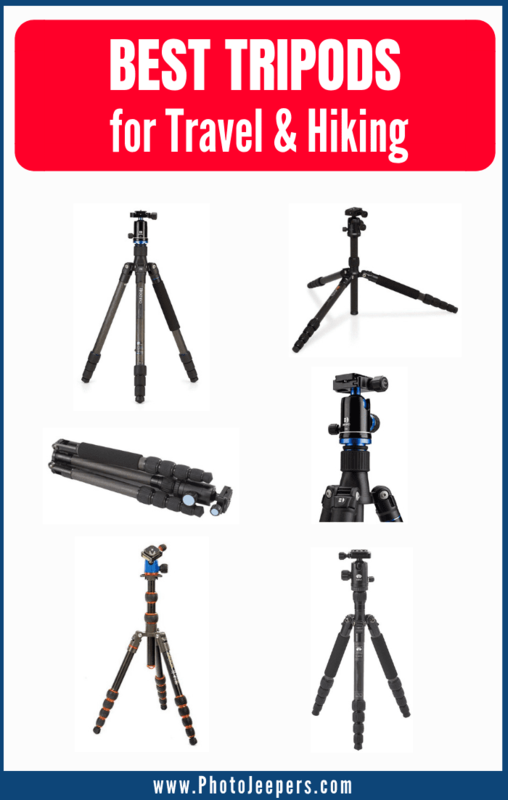 We recommend the following list of travel tripods because they are sturdy, lightweight and portable. 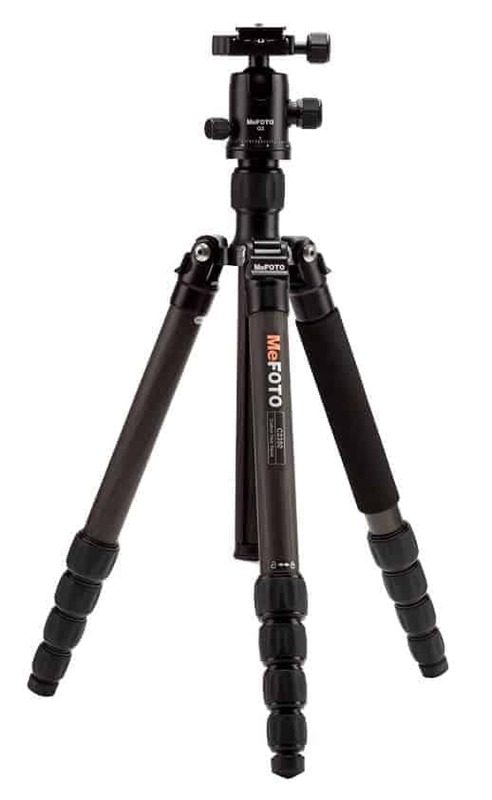 The MeFoto Globetrotter Carbon Fiber Tripod is the one we use and always recommend. It’s perfect for our travel and hiking style. 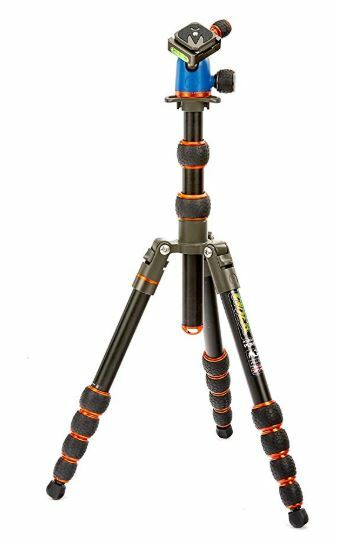 If you want a high quality travel tripod that’s small, compact and very competitively priced, you’ll want to get the Globetrotter. Lightweight carbon fiber construction makes it the perfect travel tripod. It’s also very sturdy which makes it a good choice for serious and casual photographers. This portable tripod has the ability to convert to a monopod which is a nice feature. The bottom line here is the MeFoto Globetrotter Carbon Fiber is a killer deal for the photographer who needs a lightweight and portable travel tripod. 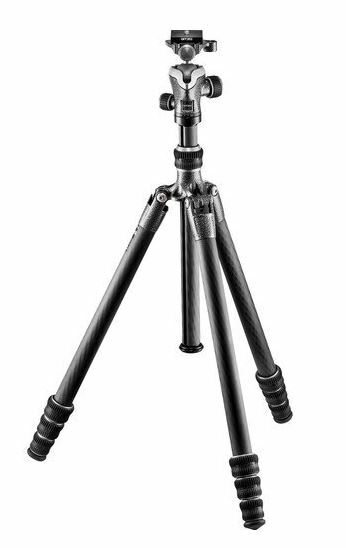 When it comes to quality, performance and dependability, Gitzo tripods are hard to beat. The Gitzo Series 1 Traveler Carbon Fiber Tripod and center ball head is light enough to carry all day, yet sturdy enough when you need it. Don’t let the price scare you. Yes, it’s expensive, but if you take a lot of photos, use a tripod often, and really want something to last a long time, it’s worth the investment. You know what they say about you getting what you pay for. If you are serious about taking your photography to the next level, and you need a lightweight tripod for travel, the Gitzo Traveler Carbon Fiber is one you should consider. 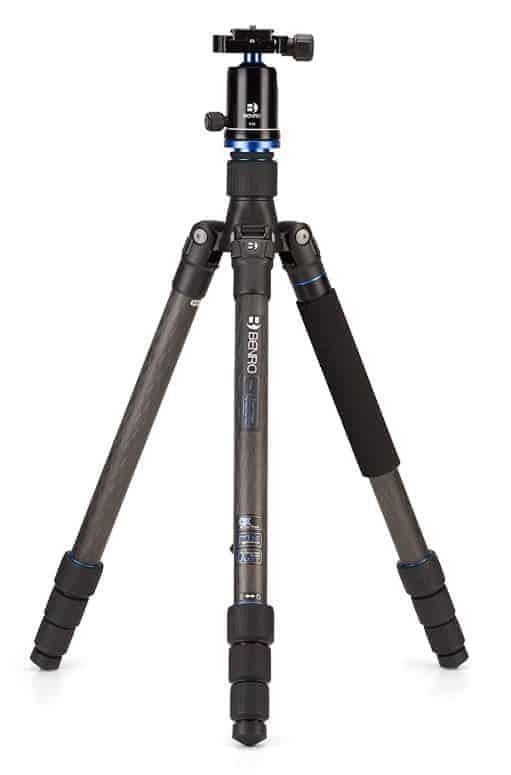 The Benro Travel Angel Series 2 Carbon Fiber Tripod is a travel tripod with many full-size features. With the load capacity, this portable tripod can easily handle a DSLR or mirrorless camera setup. One of the features that makes this tripod easy for travel is that it folds back on itself. 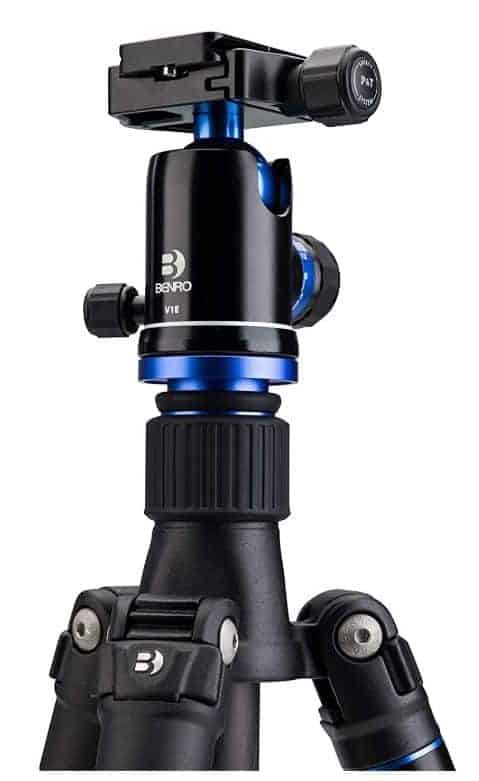 This allows the Benro Travel Angel II to be a truly compact tripod. When it’s folded up you can fit it inside your carry-on or strap it on the outside of your camera backpack. The Benro travel tripod also has center-column versatility where the column can be removed and attached to a removable leg to form a monopod. If you are looking for a sturdy, small and light tripod for travel, the Benro Travel Angel Series is one we recommend. The Manfrotto 190go Aluminum tripod is a versatile tripod for many different types of photographers who need portability. If you’re looking for a lightweight tripod that offers stability, the Manfrotto 190go is an excellent choice. Compared to other travel tripods, the only drawback is the lighter load capacity the Manfrotto 190go can handle. If you shoot sports, action, storms or wildlife and use very heavy telephoto lenses, you will need a tripod that can handle a heavier capacity.. The Manfrotto 190go compact tripod has an innovative 90-degree central column which is perfect for macro photography. Perhaps the best thing about the Manfrotto 190go series is how fast and easy it is to set up and collapse again. When you are out in the field taking photos, it sure is nice to quickly extend the tripod, especially since the other hand is usually holding the camera! 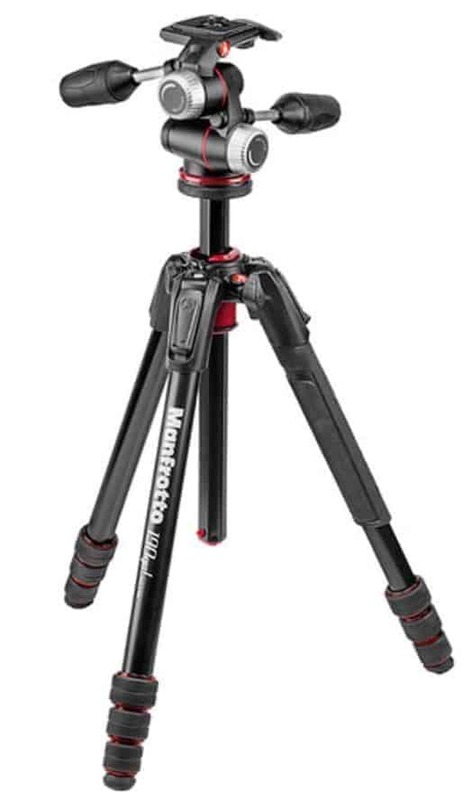 If you prefer carbon fiber, check out the Manfrotto Element Traveller Carbon Fiber Tripod. The Sirui T-025X Carbon Fiber Tripod with C-10S Ball Head is good for lightweight cameras, mirrorless cameras and DSLR cameras with small lenses attached. It’s a very lightweight and compact tripod that fits easily in a carry-on bag or camera backpack. We appreciate that it’s light enough to carry around all day, stable enough to hold a DSLR with a small medium lens, and affordable. The Sirui tripod is also perfect for backpacking. The space and weight savings mean you can pack that extra lens or batteries. Sirui has created a lightweight and solid travel tripod that’s affordable and doesn’t feel cheap. 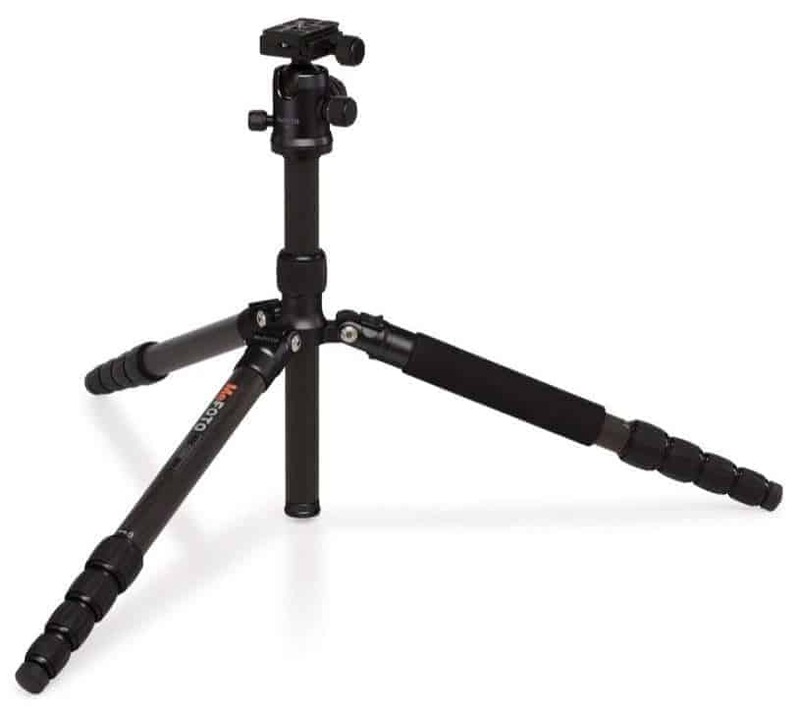 Consider the Aluminum Sirui T-005X if you need a more budget-friendly travel tripod. If you’re looking for a very high quality, easy-to-use and easy-to-transport travel tripod, the 3 Legged Thing Punks Corey Aluminum Tripod checks all the boxes. It’s a small tripod, but you don’t lose out on height as it extends to nearly five feet. This is all you really need from a travel tripod. The 3 Legged Thing build quality is exceptional. One addition we really like is the implementation of rubber-coated twist locks. This improves grip and protects our hands from a hot or cold aluminum surface. It may not seem like a big deal, but your hands will thank you when you’re out taking photos on a hot or cold day. 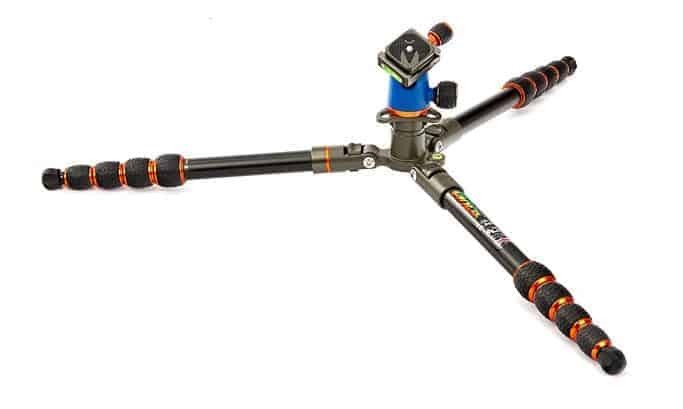 Another innovative feature on the 3 Legged Thing Corey tripod is the ability to detach the center leg and use it as a monopod, microphone boom, or selfie stick depending on your needs. High quality and performance at a terrific price make the 3 Legged Thing Corey the perfect choice for a travel tripod. We can’t stress this enough: if you want high-quality images, you need a tripod! Period. If you travel and hike often, we recommend you invest in a travel tripod. Find the best compact tripod that’s sturdy and lightweight that best meets your travel and photography needs. 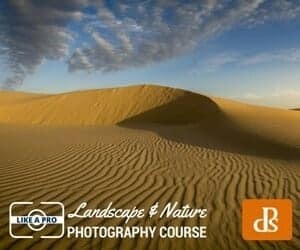 You don’t need the best travel camera or the most expensive travel photography gear to become a good photographer. Photography is a journey and it improves over time through practice, patience, and more practice. You can read articles and watch tutorials about photography, but until you practice those techniques, you aren’t going to improve! If you need to invest in a new travel camera or upgrade your travel photography gear, then do it. 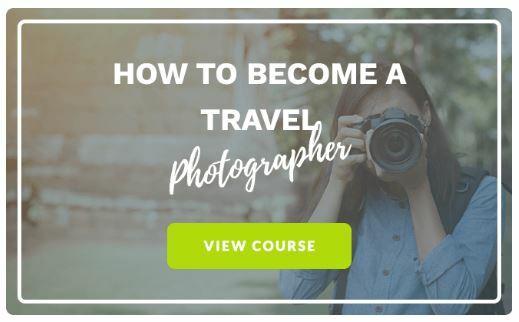 But also remember to invest money and TIME into learning new photography skills if you really want to capture stunning travel photos! 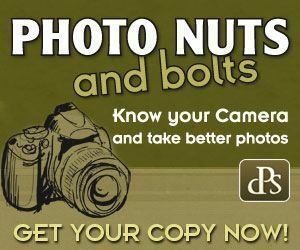 This list of resources will help you take your photography to the next level. Thanks for this great read. We’re still on a huge learning slope with our photography. Just invested in some off line storage. This will be one of our next investments. Storage is so important – good that you’ve invested in that! A tripod really does take your photography to the next level. Let us know if you have any questions once you get to that point. Thank you for such a through post! I’m going to be backpacking New Zealand soon and doing a lot of hiking. I’ve been looking into getting a tripod for this but there’s so many options out there, it’s hard to decide, especially when I’m such a beginner. Let us know if you have any questions to help you narrow down your choice – we are happy to help! Your posts are always great! Very useful, easy to read, and concise. Love this one!! I look to you guys as an authority on travel and outdoor photography, so I was a bit nervous reading this post to see if the tripod I bought was Photo Jeepers approved… and I was happy to see that it is! I have a Sirui carbon fibre tripod. It folds up small enough to fit in my day pack, is light enough to take backpacking and holds my Sony mirrorless securely. And it wasn’t that expensive! The Sirui is a fantastic tripod – it’s nice to know it works well for you. Thanks for the vote of confidence about our recommendations for travel and outdoor photography. Happy travels and shooting Taryn! Just what I was looking for! I’ve been researching tripods just yesterday and found that the Manfrotto model you mentioned would be a good one. Thank you for solidifying my choice. I always enjoy reading your email newsletters as well as the motivational tid bits found in everything. Thank you so much Talia, we appreciate the positive feedback. We hope the Manfrotto works well for you!